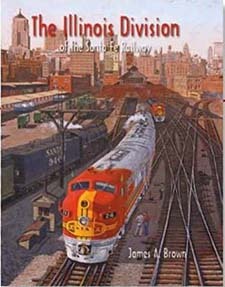 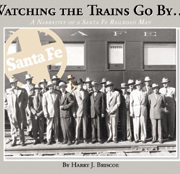 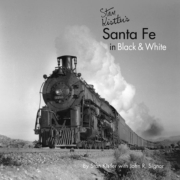 The Illinois Divison of the Santa Fe Railway provides an informative and lively account of the story of The Atchison, Topeka & Santa Fe Railway in Illinois, from the charter of predecessor road, Chicago & Plainfield in 1859 through merger with Burlington Northern in 1995. 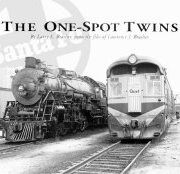 Although the Illinois Division ultimately stretched to Kansas and Oklahoma, the geographic scope of this book is confined to the Illinois Division as it existed for over half a century: from the bumping post at Dearborn Station to Fort Madison, Iowa. 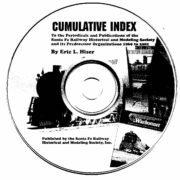 464 pages, 8-1/2 x 11 library bound with dust jacket, 246 black and white and 157 color photos, 44 maps, notes, bibliography, appendix, and index.